In this peaceful, safe neighborhood, near Shuswap Avenue and Thompson Avenue, is an upper floor, 2 bedroom, 1 bath rental in a nice home on a huge ¾ acre corner lot. 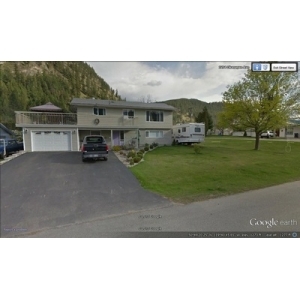 Gorgeous views of Little Shuswap Lake will be enjoyed by all on the large covered deck. With 1400 square feet of living space, this is definitely the place you want to be! Plenty of off street parking is available, and a laundry area is also available if needed, and 1 or 2 pets are also welcome. Chase Secondary School is the closest school, and other nearby conveniences include People’s Food and Drug, Mountain View Café and Kings Park Restaurant. Sunshore Golf Club is also very close. Rent is $1200 a month, with a $600 deposit also required at signing. A minimum 6 month lease is required as well. Utilities are included with the price of rent and smoking is not permitted on the property. Credit check will be required.